Daily video creator, traveler, and Facebook celebrity Nas Daily a.k.a. 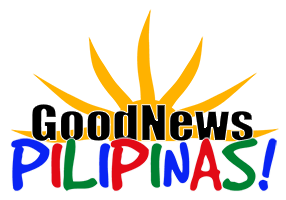 Nuseir Yassin has again made a video about the Philippines – this time the video runs for 6 minutes instead of his usual 1-minute video. 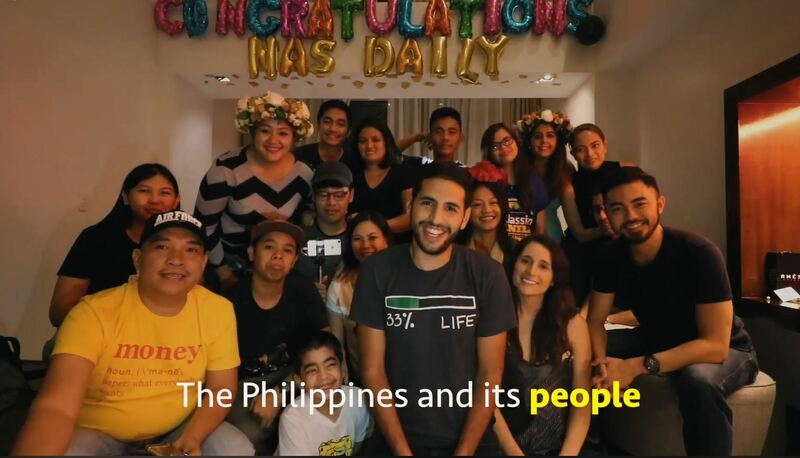 Nas Daily gives his worldwide audience 5 different experiences in the Philippines which affirms his love for the country. “If you know me in person, you’ll know that Philippines is the country I love the most. Right next to Malta. And I never quite explained why. Until I made this 6 minute video of my second time there. The new video is a product of the two times the Economics and Computer Science graduate from Harvard University has visited the Philippines. Nas Daily brought his girlfriend to explore the Philippines and was amazed at how people gave the “best welcome in the world” to the first time visitor complete with an airport welcome, local souvenirs, and a grand party – to the incredulous surprise of Alyne. Yassin shares his Philippines experience of the best islands in the world where prices are affordable, and people are resilient and forgiving – enough to make him say at the end of the video that he will miss the Philippines and Filipinos. 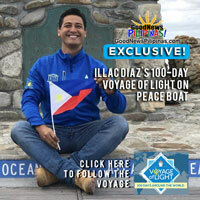 The freelance video journalist who decided to roam the world and create video stories about his travels and people he meets presented the Philippines as a the “gem of Asia” with the warmest of people and the most beautiful scenes of nature – enough reasons to visit the country and tells travelers to “disregard the politics, distance, and traffic” and come for the unique Filipino vacation. 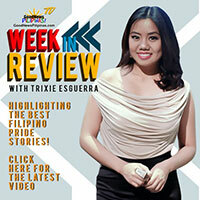 “How Cheap is the Philippines” is the freelance video journalist’s Day 298 video which propelled him to Facebook celebrity status in the Philippines and around the world. The Nas Daily video titled “The Most Lovable Country!” posted in July has so far earned 215 thousand likes, loves, and wows, 159 thousand shares, and 10 thousand comments.